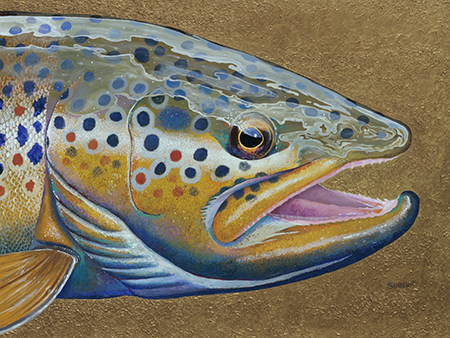 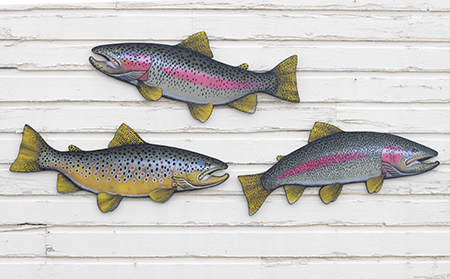 Bern Sundell is a well known fly fishing artist, one of the main pioneers of these beautiful closeups of trout heads. 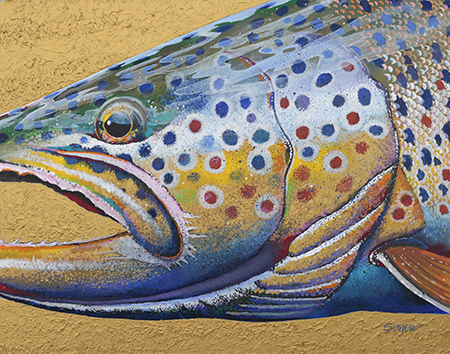 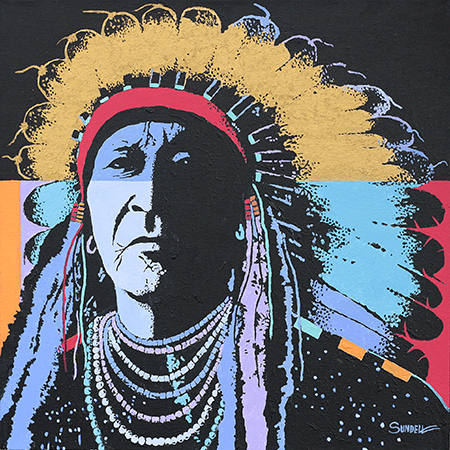 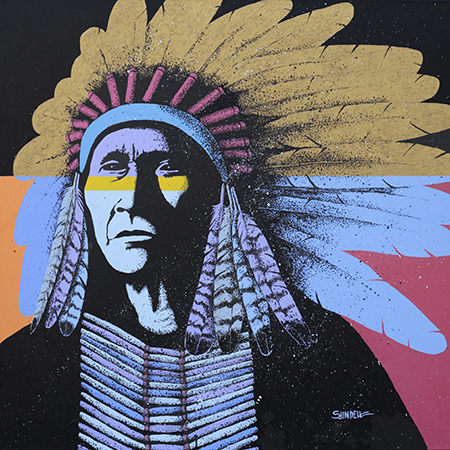 He grew up fishing the great rivers of Montana and started his art at the same early age. 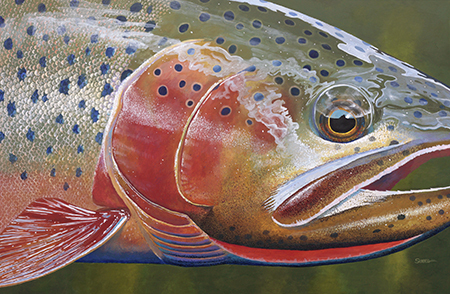 His handling of color is exquisite and his knowledge of trout extensive. 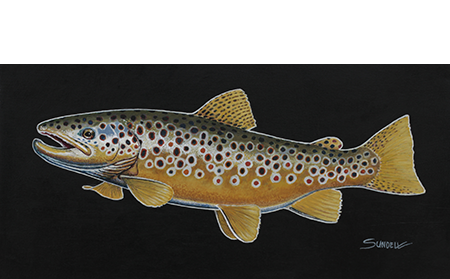 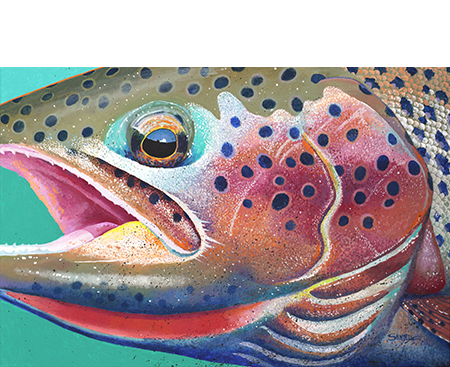 He welcomes special commissions, so ask him for your unique trout painting. 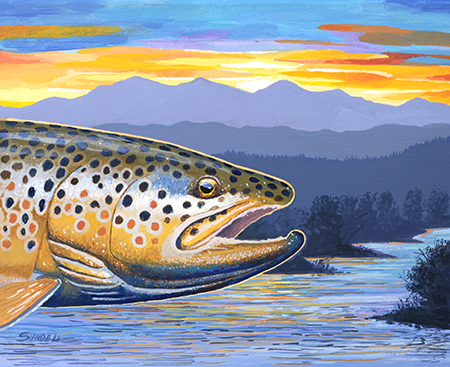 Montana Fly Company licensed his artwork and you have probably seen fly boxes, reels, and other accessories in the fly shops you visit. 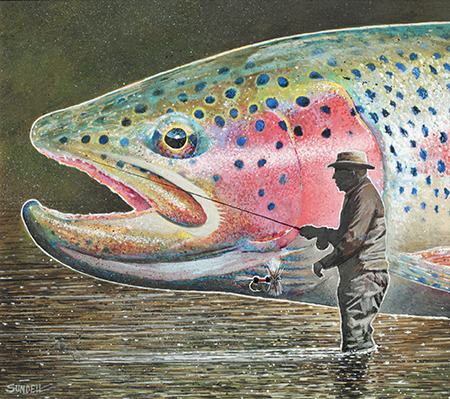 He also designs streamers because he goes after big fish on the rivers. 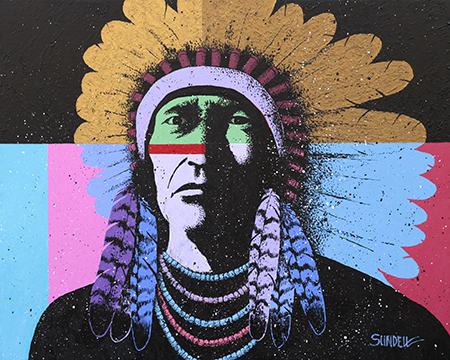 Bern has what he calls his “flip side” and expresses it in his warrior series of paintings. 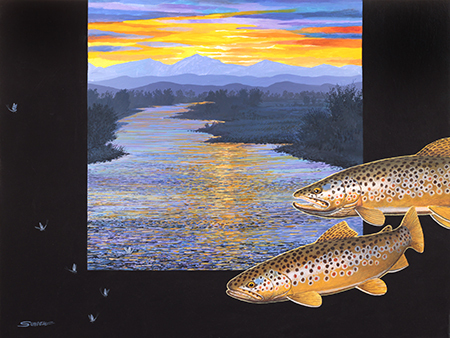 These have been chosen for The Russell Show and Auction for several years in a row. 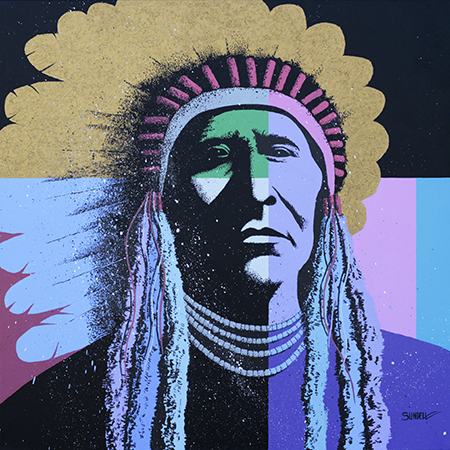 His unique sense of color dominates these paintings with their high contrast and unusual configurations. 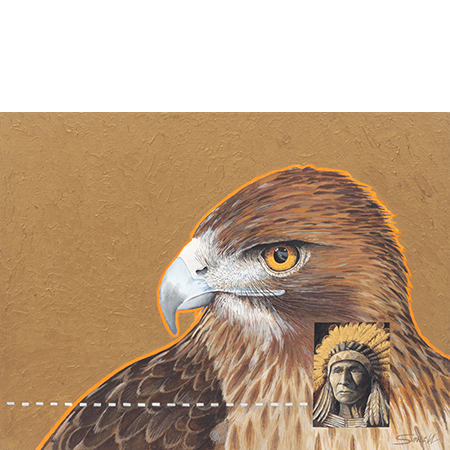 Please contact the gallery for purchase or special commission work.